If inspection shows that the problem is caused by defective workmanship or material, Pro-Tek will repair or replace the tool at no charge. 1. Normal maintenance was required and not applied. 2. Repairs have been made or attempted by others than the Pro-Tek Spray Equipment Service Center. 3. The tool has been abused, misused or neglected. 4. Alterations have been made to the tool. 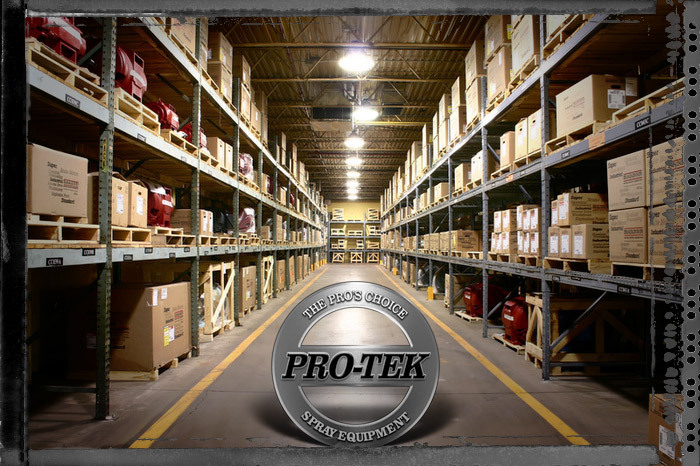 All claims for damaged products during transportation should be made directly to the transportation company and a copy of the claim should be sent to Pro-Tek within 5 days.